Meet Angeline. Her mother abandoned her to a hospital in March of this year and the staff had been trying to care for her for the last six months. We love that her nickname there was ‘Ange’, or ‘Angel’ in Kreyol. 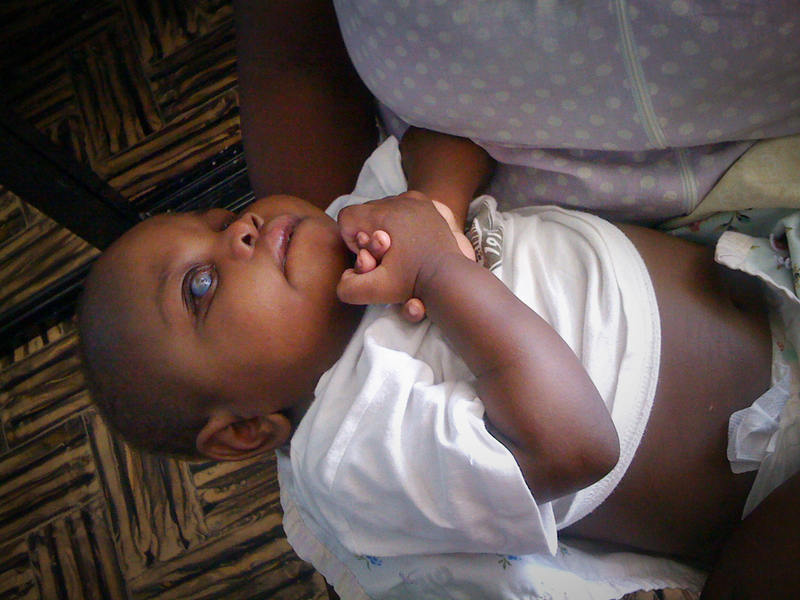 Her exact birthdate is unknown, but Haitian Social Services has given her a date of September 5, 2013. It is clear that Angeline has suffered severely since birth. She is blind, most likely from malnutrition. Her left eye has been removed. Her right eye protrudes slightly and is seemingly ineffective. When retrieved from the hospital, her belly was distended and her hair had the reddish tint of an extremely deficient diet. 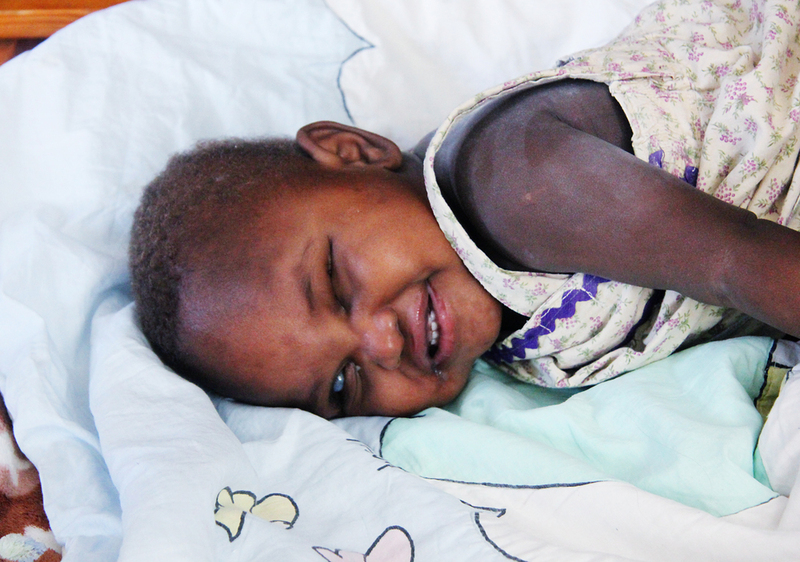 The combination of malnutrition and being confined to a crib for more than six months at the hospital has resulted in Angeline being unable to support herself on her legs. We are confident that she is in our care for a reason and will quickly adapt and recover. She has already shown remarkable improvements! Our nannies are pouring their attention and love into her and she seems very content to be at Angel House. For our staff and our health professionals as we navigate the new territory of having a blind child in our care. We are gathering special tactile toys and adaptive items to accommodate Angeline’s needs. She has been seen by an optometrist and is being closely monitored and coached to bring her nutrition and development up to speed. For Angeline’s mom, wherever she is, who most likely faced an incomprehensible amount of fear and desperation. We can only imagine the circumstances she was facing and the pain involved. For a family for Angeline. She has a very sweet spirit, she loves to snuggle and sing. She will bring some lucky mom and dad great joy. To have an active role in Angeline's recovery, please consider becoming her Sponsor to provide monthly support. Newer PostWho Would You Choose?